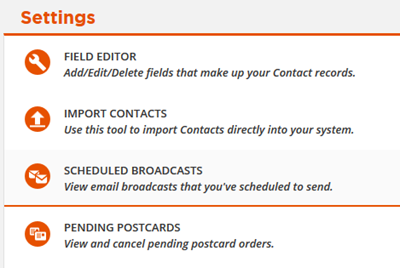 When you schedule an SMS broadcast in ONTRAPORT- meaning you manually send an SMS from within your Contacts Collection - the scheduled SMS that you set to send (either immediately or scheduled for a later time or date) appears in your Scheduled Broadcasts subcollection found in the Contacts > Settings menu. 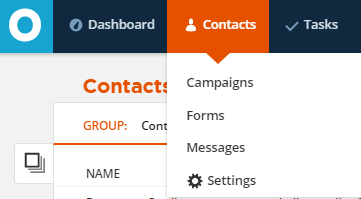 This section allows you to cancel SMS broadcast sends altogether and view the status of any scheduled sends, the number of recipients and the scheduled delivery time and date. If you chose to send an SMS immediately, there is a 5 minute gap to allow you to cancel an SMS broadcast. 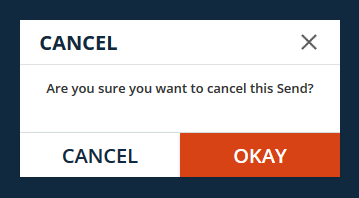 If the processing column says YES next to the entry you wish to cancel, our system has already begun processing your request and the SMS cannot be canceled. If you ever suspect that an error has occurred while sending out an immediate email broadcast, do not attempt to send the email a second time until you’ve confirmed that the first attempt either went through or was erroneous. You can verify a send by checking the Contact Log of any of the recipients of your broadcast email or by contacting customer support.